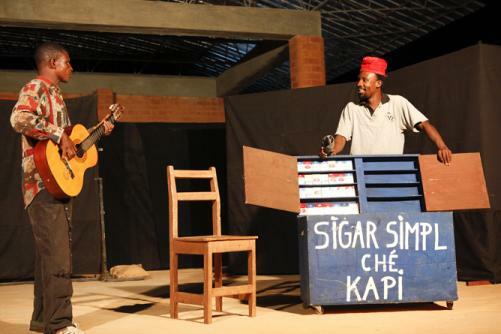 Since 2010, an Opera Village has been emerging out of the desert of Burkina Faso, 30 km outside of Ouagadougou. The project, having finished Phase I with the opening of a school, envisions a community built around the festival hall where performance, arts, and culture are fostered. Just 30 km outside of Ouagadougou in the Laongo area, what was dubbed an ‘almost unbelievable idea’ and a ‘fantasy’ emerges from the arid landscape to become physical reality. 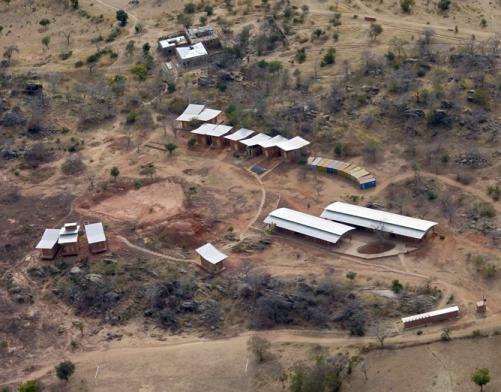 Work on the Opera Village Africa (Operndorf Afrika), a quixotic project intended to be the first opera built in the African desert, began in early 2010. 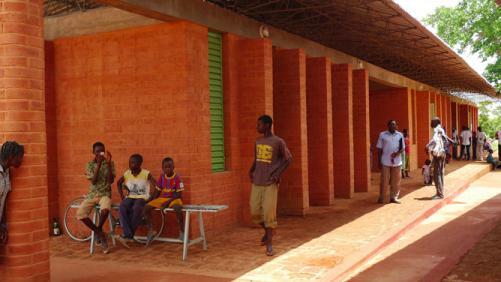 Since then the first phase of the construction has been completed, inaugurated by a school for Burkinabé children, that opened on 8th October 2011. Schlingensief approached Diébédo Francis Kéré, the architect and planner of the project, a Burkina Faso-native who trained in Berlin yet has worked extensively in his hometown of Gando. Schlingensief initially planned just an Opera House for the country, and the architect’s first reaction to plan was that ‘it was a joke. Such a fantasy could only come from somebody who either doesn’t know Africa, or who is so saturated that all he can think up is nonsense.’ After all, the idea of ‘opera’ still carries the unmistakable whiff of Europe, eliciting thoughts of the rich grandeur of opera houses like the Palais Garnier and La Scala and the opulence of the high society – predominantly white and wealthy – that flitted in and out of those cultural palaces. However, upon talking more with Schlingensief he was impressed by his energy and firm intention to integrate the ideals of opera with communities in one of Africa’s poorest countries, encouraging artistic experimentation without elitism. The idea of opera proffered by Schlingensief and Kéré instead refers back to its simplest definition, as a site of exchange where different art forms are unified and divisive lines are erased. Extending this idea, theirs is a global art project that is ‘connecting worlds and aiming at overcoming the division between art and life’. 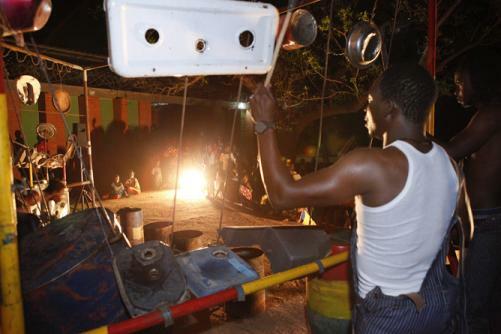 Whilst still wary of the implications of establishing an opera house in a country where 80% of the population cannot read or write, Francis Kéré envisaged the potential problems as challenges rather than insurmountable barriers. Whilst the project was still in the planning stages, an unexpected flood devastated vast tracts of Burkina Faso. One of the potential sites that had been proposed for the Opera Village, just outside the country’s capital Ouagadougou, was completely flattened; thus, the project’s purpose shifted from Utopic vision to immediate community need, with a real focus on helping people to rebuild their houses. Christoph and the architect worked together to design housing modules that could be integrated into a larger ‘Opera Village’, and the idea of entire community centred around the Opera House was born. 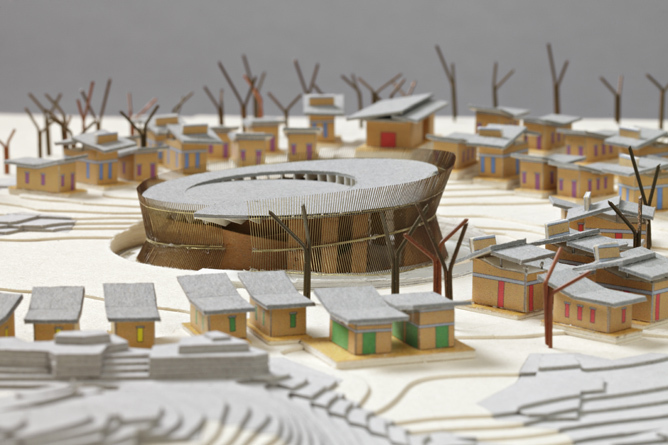 Structured as a traditional African village, the society is built with small modules around a central square. Not yet complete, the project continues to develop and grow organically since the first stage was completed, with the opening of the school in late 2011. 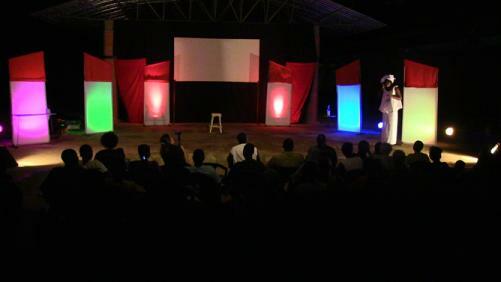 Alongside a regular school curriculum, children are taught classes in film, art and music. In this structure, all teachers, workers and school children have access to art on a daily basis, and so the lives of the inhabitants and their cultural output exist in a symbiotic relationship. Experimentation remains the focus; a concert in April this year, for example, was performed on instruments made entirely of recycled materials. The Opera Village does not teach rules for creativity, but rather provides technical skills – from photography to music lessons – in order that pupils might have free reign for their imagination. Sadly, Schlingensief died prematurely in 2010, aged 49. The tragedy of his death is exacerbated by the fact that it occurred before the first phase of the village was complete; its revolutionary creator never saw the realisation of his vision, yet thanks to his enthusiasm, energy and drive, he has helped ensure a whole generation of Ouagadougou children might realise theirs.